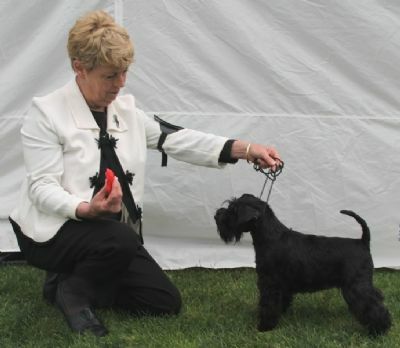 Lilly is the first black Miniature Schnauzer that I have shown. she is a sweet natured girl, who is a pleasure to work with in the ring. Lilly was Runner up in Show at the 2010 SCOV Open show at ll months of age. She has won many in class awards, and has a very harsh coat. Lilly has just obtained her Championship title at Echuca & District Ch. Show on the 4th Nov.2011.